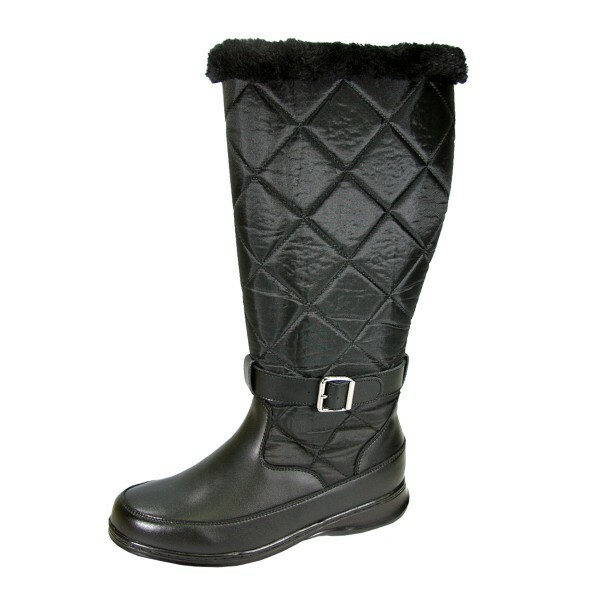 PEERAGE Kendra women's extra wide width full grain leather/nylon boots have a 17 inch shaft height and a 17 inch wide calf shaft circumference. 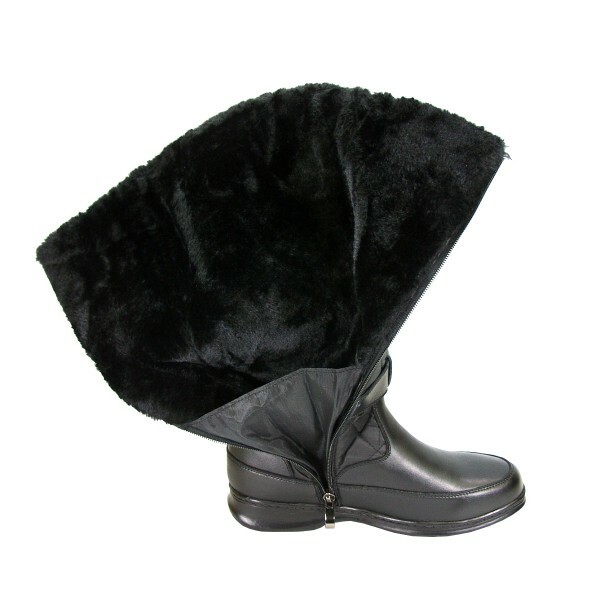 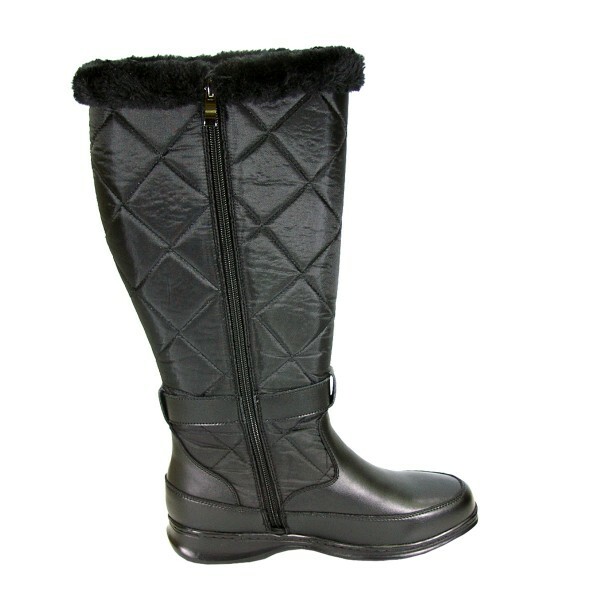 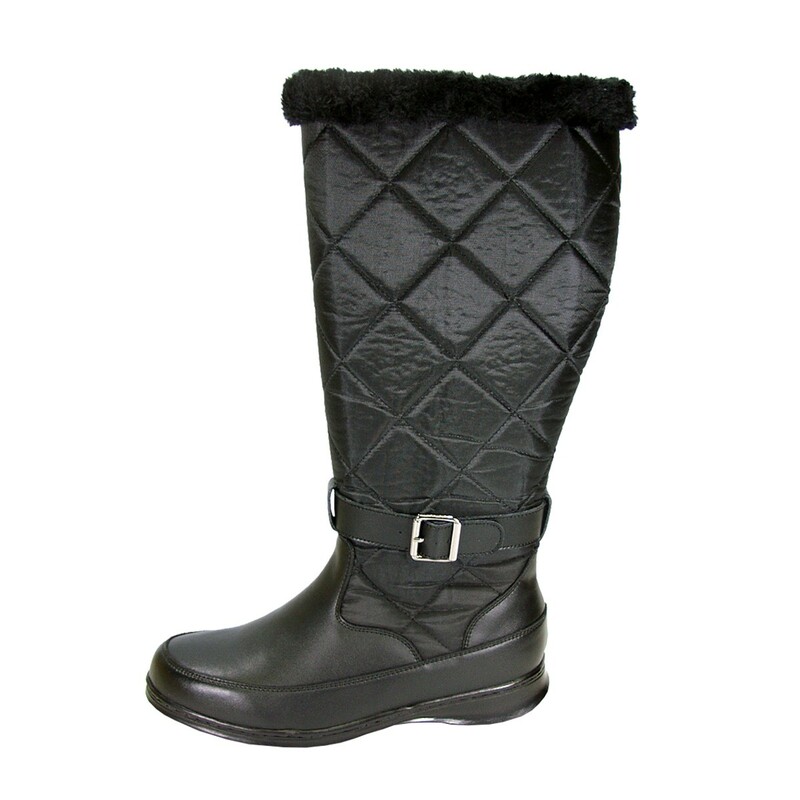 This ladies 1" low heel knee-high boot features an interior fleece lining, nylon mesh shaft, and a side zipper closure. These boots have a maximum traction rubber outsole, helping you stand strong against snow and ice. Warm up your feet this winter with these stylish boots.